Throughout your degree, you will work on individual and group projects in single and cross-disciplinary teams. This gives you the opportunity to apply the theory you learn in lectures and field trips to realistic design situations. Each year as your knowledge and experience grows you'll take on more complex briefs covering structural and environmental strategies. Working in our purpose-built studios alongside your peers, you'll be encouraged to push the boundaries of your design work through critique sessions and tutorials. 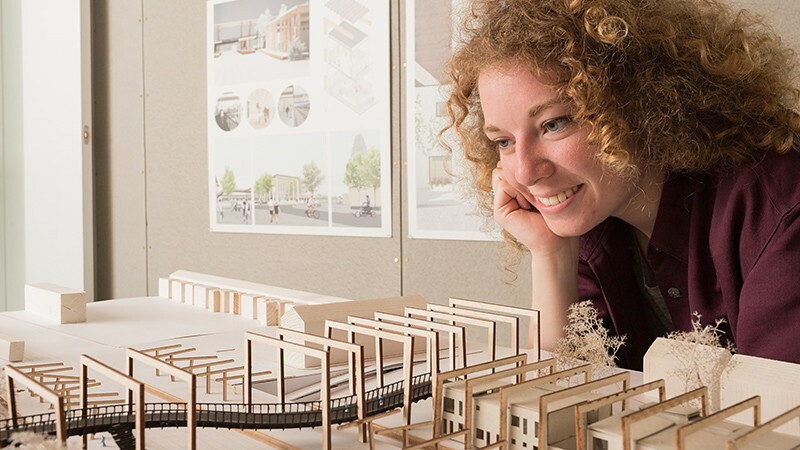 Thanks to our extensive links with industry through our research and placement partnerships, you'll be tutored by practising architects and engineers who often have experience directly related to your brief. They will provide you with client feedback so you can develop your work further alongside giving you an insight into the professional world. Our students develop their own briefs for their fourth-year architecture individual project and civil engineering research dissertation. This gives you the opportunity to focus on a topic that particularly interests you. The planning, research and presentation skills you'll need to demonstrate will help prepare you to begin your career. We believe collaboration between architects and engineers results in exemplary and enduring building design. Working in joint project groups gives our civil engineering students a greater understanding of the richness and complexity of designing to meet people’s broadest needs, and our architecture students gain a better comprehension of how sophisticated engineering transforms the construction and operation of buildings. Developing this working relationship prepares students for the professional world of complex, multi-disciplinary project teams. Our flagship design competition, the Basil Spence project, is the opportunity to fully explore the relationship between structure, environment, architecture and building construction. The brief changes each year, but is always based on a real scenario with a focus on sustainability. Working in teams of four or five, students develop their solutions together over eight weeks by discussing drawings, models and calculations. Find out what about the history and process of the Basil Spence competition. The Basil Spence competition from University of Bath on Vimeo. We focus your studies around studio work from the very start of your degree. Our open plan studios in 4 East South provide the perfect setting for collaborative working with dedicated crit bays for you to present your projects. We have civil engineering laboratories for structures, hydraulics, soils and natural building materials, as well as a timber workshop.